The Bruins prepare to play Olivet on Saturday. The Kellogg Community College women’s basketball team grabbed their third win in a row with a 79-47 victory over Olivet College’s JV squad at home on Saturday, which brings their record to 3-2 for the season so far. The game marked the Bruins’ first official home game of the season and their second win against Olivet’s JV in as many weeks, as they won a previous contest against the team 57-34 in Olivet late last month. Four Bruins scored in double digits, including freshman guard Jackie Harwood (Sault Area), who scored 12 with five rebounds; freshman guard Therese Vassar (Southeastern), who scored 11 and grabbed five rebounds of her own; and freshman guard Lauren Mengel (Marshall) and sophomore forward Janeesa Jamierson (Battle Creek Central), who also scored 11 points each. Freshman point guard Teonna Pope (Southeastern) contributed with six assists and six steals, while sophomore guard Raeha Weaver (Lakeview) and freshman forward Destiny Johnson (Battle Creek Central) each grabbed five rebounds. Sophomore forward Malika Flenorl (Lakeview) also had six steals. The women’s basketball team plays next as part of the Delta College tournament scheduled for Friday and Saturday, Dec. 7 and 8, in University Center. 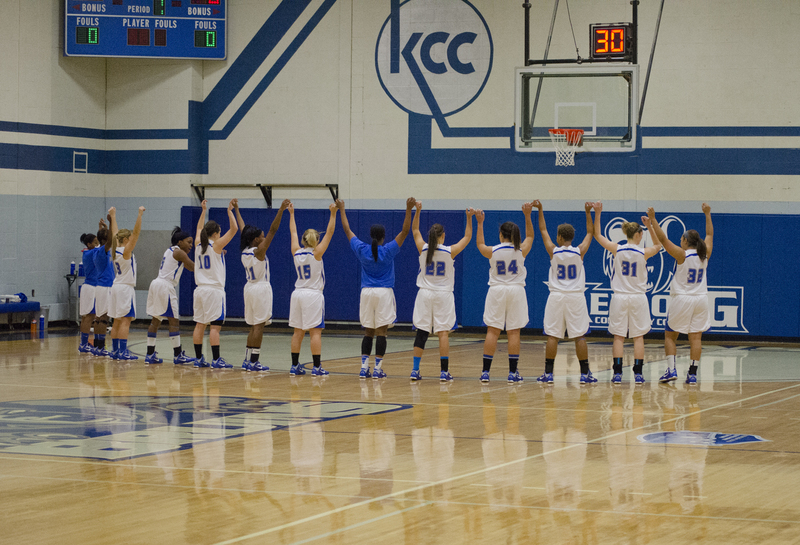 Their next home game is scheduled for 1 p.m. Saturday, Dec. 29, against Owens Community College in the Miller Gym on KCC’s North Avenue campus. Click here for a complete 2012-13 women’s basketball schedule. 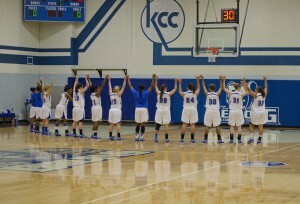 For more information about the women’s basketball program at Kellogg Community College, visit www.kellogg.edu/athletics/womensbball/index.html. To view more than 20 photos from the team’s game against Olivet on Saturday, visit KCC’s Facebook page at www.facebook.com/KelloggCommunityCollege/photos_albums.